I just discovered your writings recently even though your last name of course is known to me. I stumbled upon Dark Buzz and things have looked very differently for me after reading a bunch of your columns in Dark Buzz! I then read an essay by this Princeton fellow, Tony Rothman, about Einstein and Poincare. I was delighted that I was able to follow his argument and somewhat critically because of your essays. So I wrote him and told him that I had read his essay. However, I didn't get a clear idea of why Poincare should be dismissed as the founder of relativity as opposed to Einstein. That was he saying that because Einstein came along and stitched so to speak all of these disparate notions together, he should claim the throne. I also told him that Einstein's friend, Maurice Solovine, said they read Poincare thoroughly, something about how his writings left them breathless. I know you are busy but here is what he wrote me. May I ask you to comment if you have the time. Like the character in Sherwood Anderson's short story, I Want To Know! I'm not quite sure what you're looking for. It is quite clear that at the time Einstein couldn't have known about Poincare's paper (although he had read his book Science and Hypotheses) because the two wrote their papers within weeks of each other. The main point is that relativity is a physical theory, not just a collection of equations. Poincare had all the equations, but he failed to understand that they all resulted from two physical postulates: the constancy of the speed of light and the principle of relativity. Poincare just wrote down all these equations, postulated separately. You are correct that Poincare enunciated the principle of relativity before Einstein, but he did not fully appreciate its consequences. 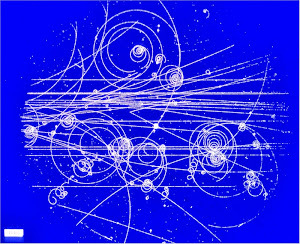 (He was mostly concerned with the behavior of electrons, not space and time. In fact his paper is called, "On the Dynamics of Electrons.") It is possible that if Einstein hadn't done it, Poincare would have eventually attached a transparent physical meaning to all his equations, but he didn't do that. Mathematically, the two theories are equivalent. Einstein certainly could have been more gracious to Poincare later in life. Yes, it is baffling why people go to such great lengths to credit Einstein, and to badmouth rivals. I wrote a book about it. Rothman has published similar comments, so I don't think he'll mind being quoted here. I consider Rothman's points individually. I'm not quite sure what you're looking for. Just some objective evidence that Einstein had some part of relativity before his rivals. It is quite clear that at the time Einstein couldn't have known about Poincare's paper (although he had read his book Science and Hypotheses) because the two wrote their papers within weeks of each other. He is referring to their 1905 papers. Poincare published on clock synchronization, relativity principle, E=mc2, and Lorentz local time years earlier, and Einstein could have relied on that. Poincare's 1905 results were announced in Paris in May 1905 (I think), and a 5-page summary was published published on June 5, 1905 in Comptes rendus, a leading European science journal. It was immediately sent to the library where Einstein studied, a few weeks before Einstein submitted his first relativity paper on June 30, 1905. So Einstein certainly could have known about much of what Poincare did. See History of special relativity. The main point is that relativity is a physical theory, not just a collection of equations. Poincare had all the equations, but he failed to understand that they all resulted from two physical postulates: the constancy of the speed of light and the principle of relativity. Poincare just wrote down all these equations, postulated separately. This is backwards. The consensus among Einstein historians is that Einstein was the one who ignored the physical evidence like the Michelson-Morley experiment. In the words of Lorentz, Einstein simply postulated what his predecessors had deduced from theory and experiment. So it was Lorentz and Poincare who had the more physical interpretation. The term "postulate" is a math term, not a physics term. If the complaint is about treating the equations mathematically, then the complaint should be against whoever was doing the postulating, and that was Einstein. You are correct that Poincare enunciated the principle of relativity before Einstein, but he did not fully appreciate its consequences. Poincare spent about 5 years convincing Lorentz of the consequences of the relativity principle. What did he miss? 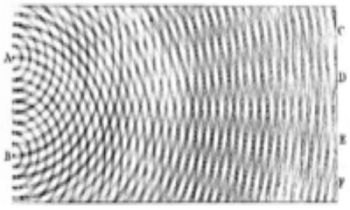 The title of Einstein's famous 1905 paper was On the Electrodynamics of Moving Bodies. It is possible that if Einstein hadn't done it, Poincare would have eventually attached a transparent physical meaning to all his equations, but he didn't do that. Poincare got the 4-dimensional non-Eudlidean geometry of spacetime, and the covariance of Maxwell's equations for electromagnetism. That is the essence of special relativity, as it was understood in textbooks from about 1910 on. Einstein did not have any of that. Mathematically, the two theories are equivalent. Einstein certainly could have been more gracious to Poincare later in life. There is nothing Einstein could have said about Poincare, without making himself look bad. Einstein lied about the origin of relativity his entire life, not just his later life. Rothman is just showing the standard Einstein idol worship. No one wants to admit that the greatest paper from the 20th century's greatest physicist was not even the best paper written on the subject that year. It takes some imagination to believe that Poincare somehow got all the equations correct without understanding what he was doing. Rothman would be more credible if he acknowledged what Poincare got right, and pointed to some shortcoming in his papers. Instead the Poincare critics just make vague arguments that do not make any sense. >> but he did not fully appreciate its consequences. My favorite type of critic, the kind who didn't solve the problem himself but assures us that he fathoms it better than the guy who did. Reminds me of a few of my old bosses.